If you have never experienced the late Sir Terry Pratchett's Discworld but wonder what you might have missed read on. 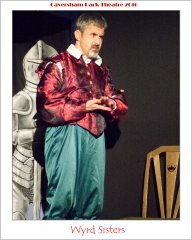 If you're already a fan of his work, no further explanation is required so please be patient! 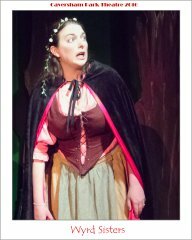 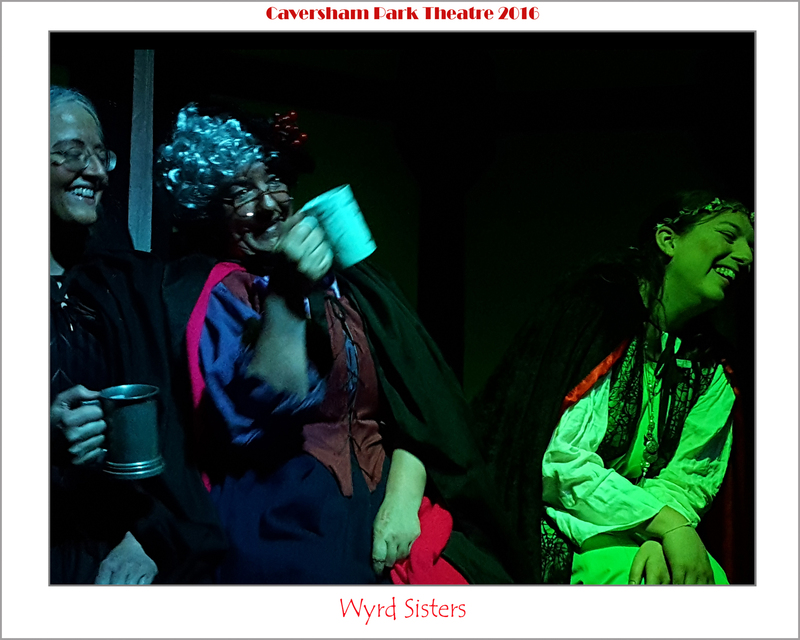 Wyrd Sisters features the ghost of a murdered King, an evil Duke and Duchess, three witches, rather dim soldiers, travelling players, kingdoms lost and found, and of course, hilarious confusion! 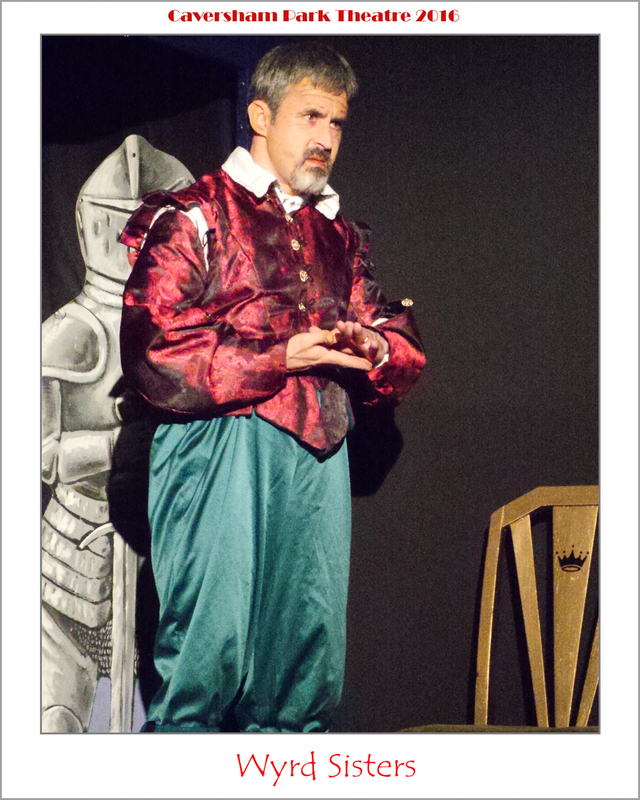 Imagine Macbeth meets Hamlet, meets lines like this…. “Um. 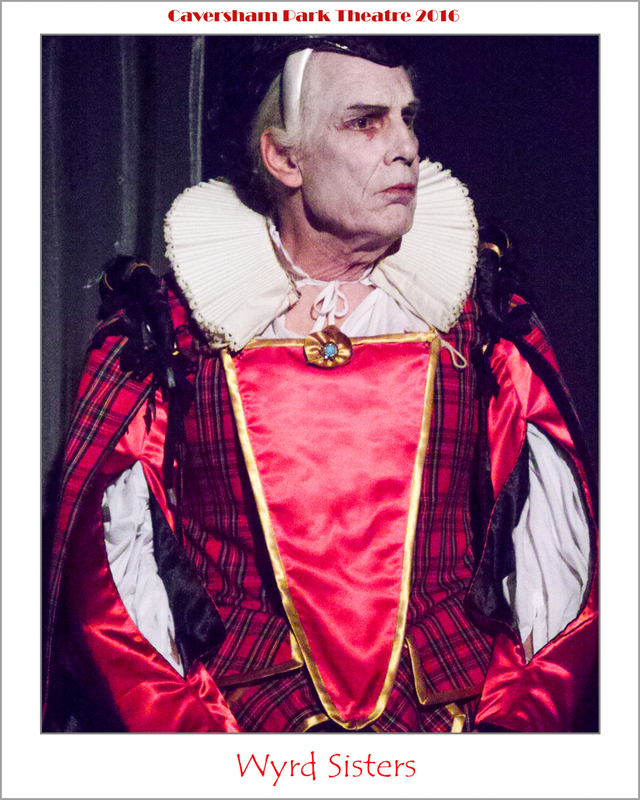 No, my lord. 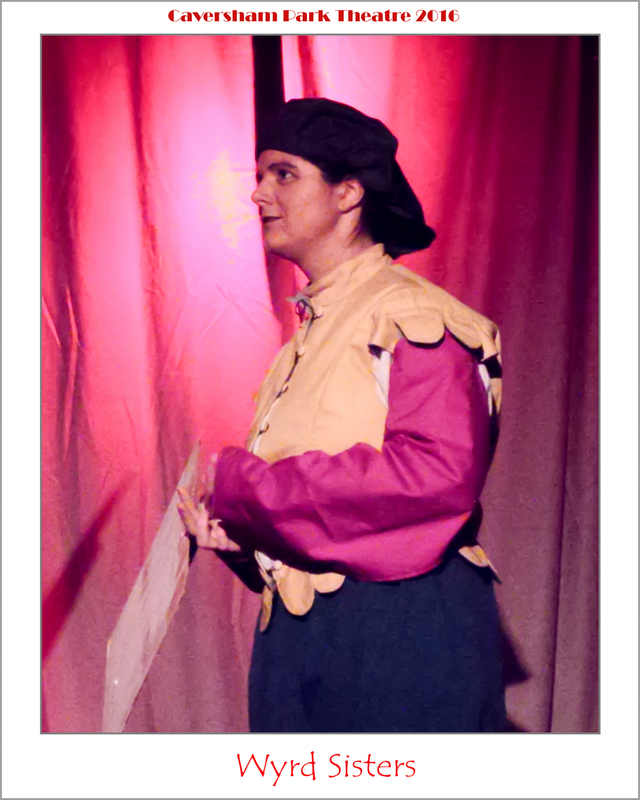 It’s my handkerchief, you see. 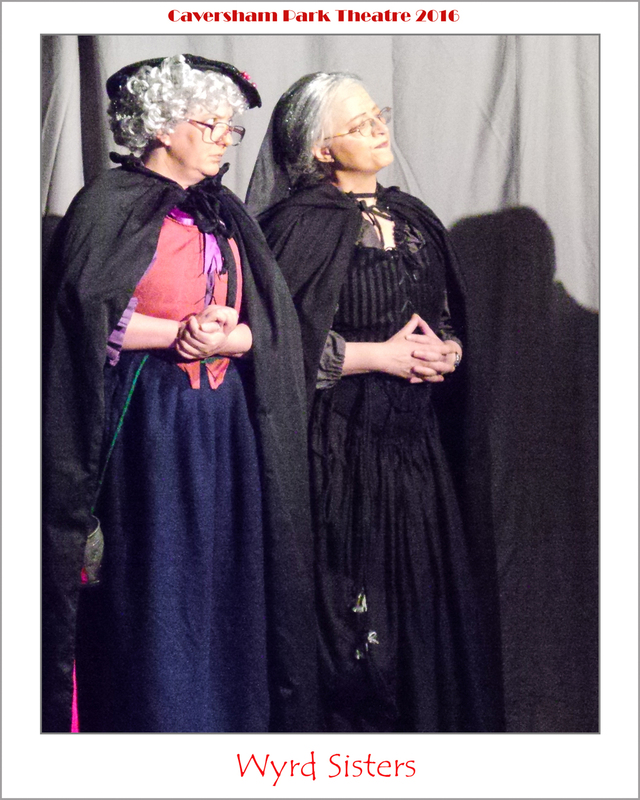 You can sort of tell the difference if you look closely. 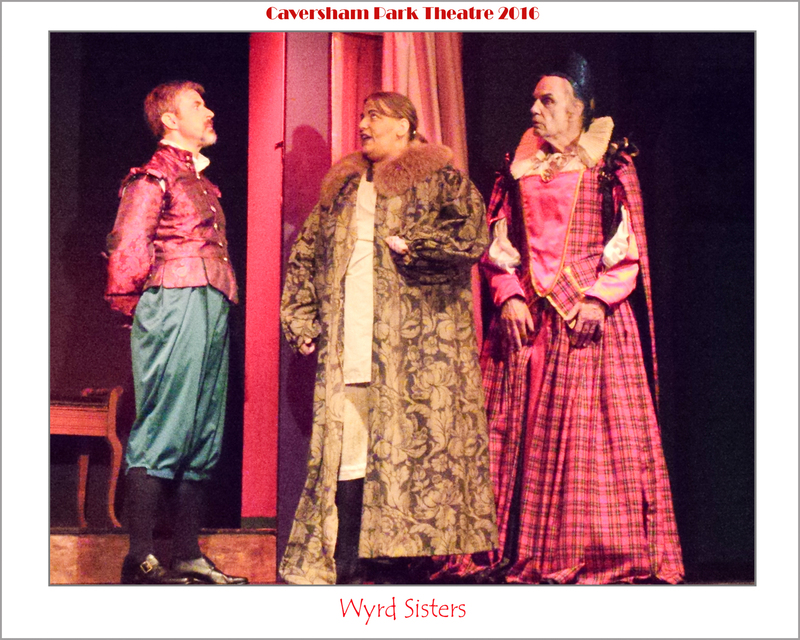 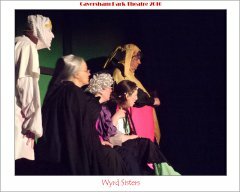 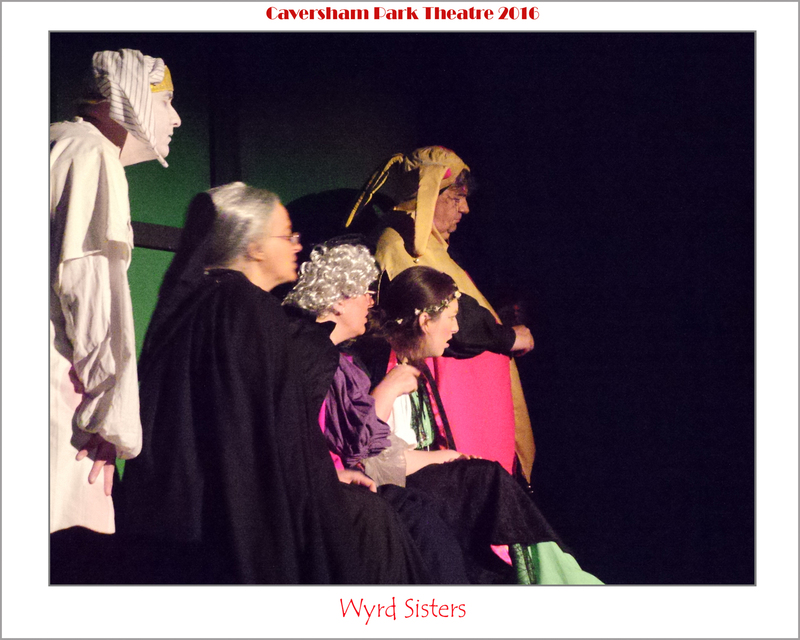 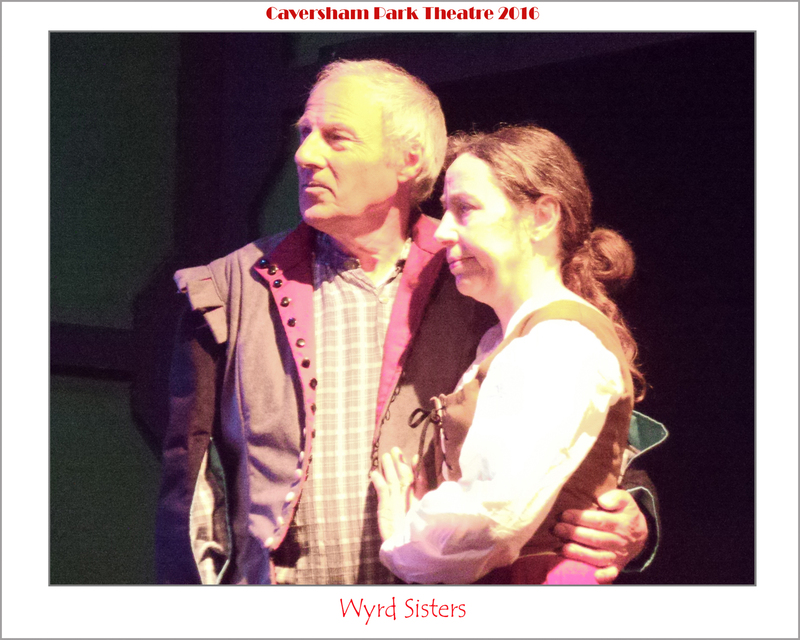 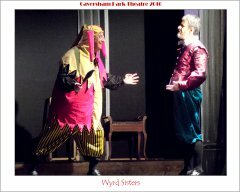 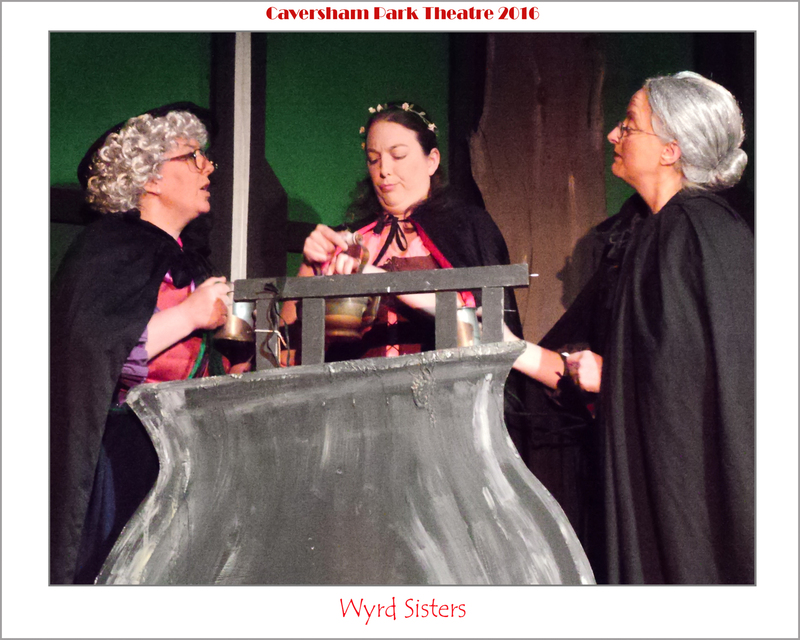 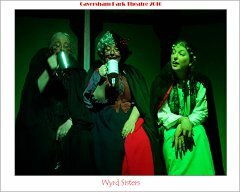 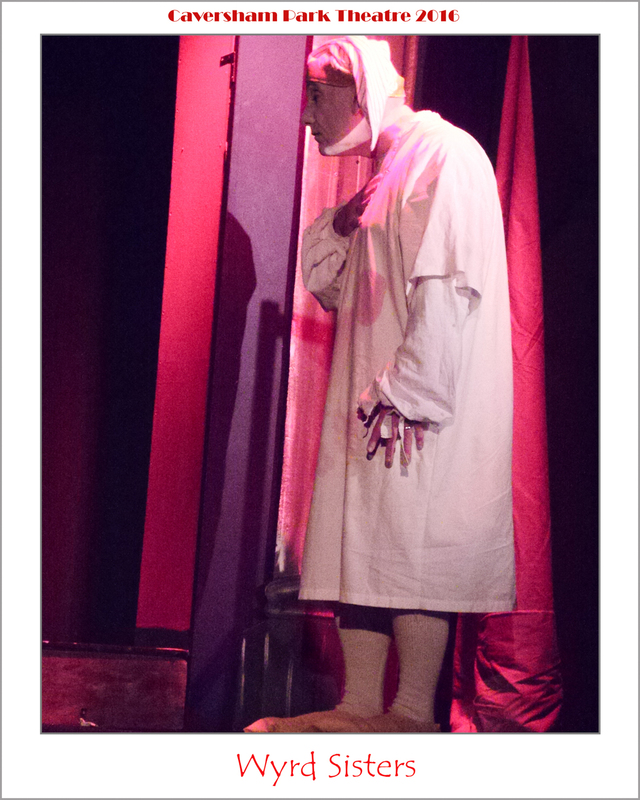 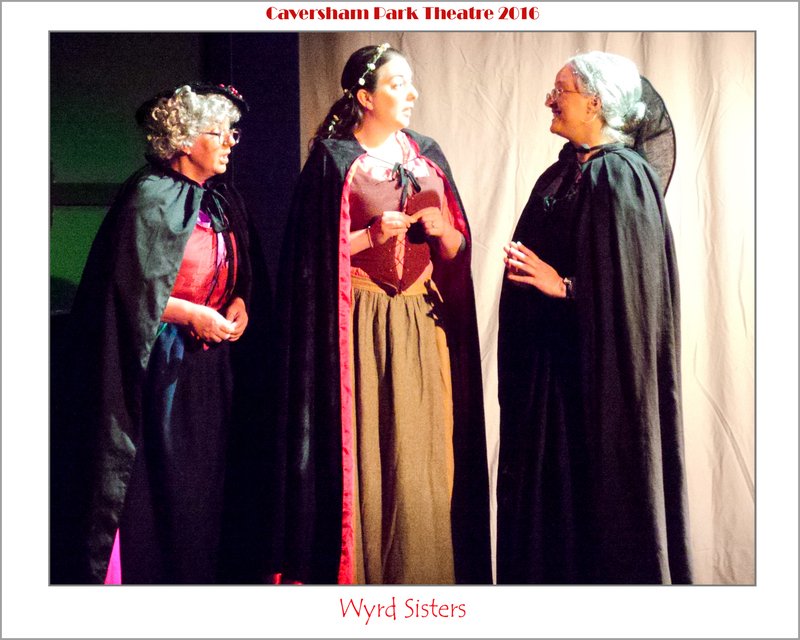 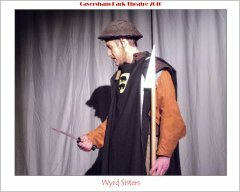 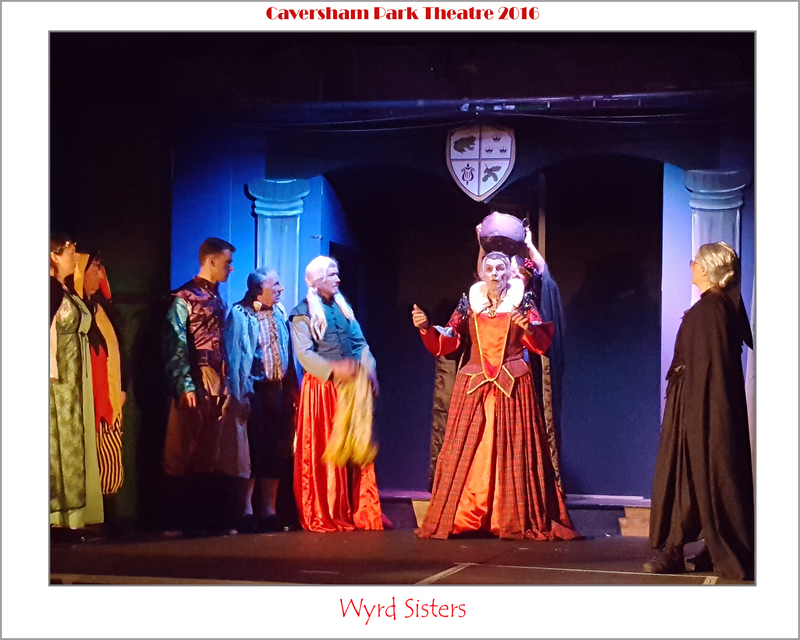 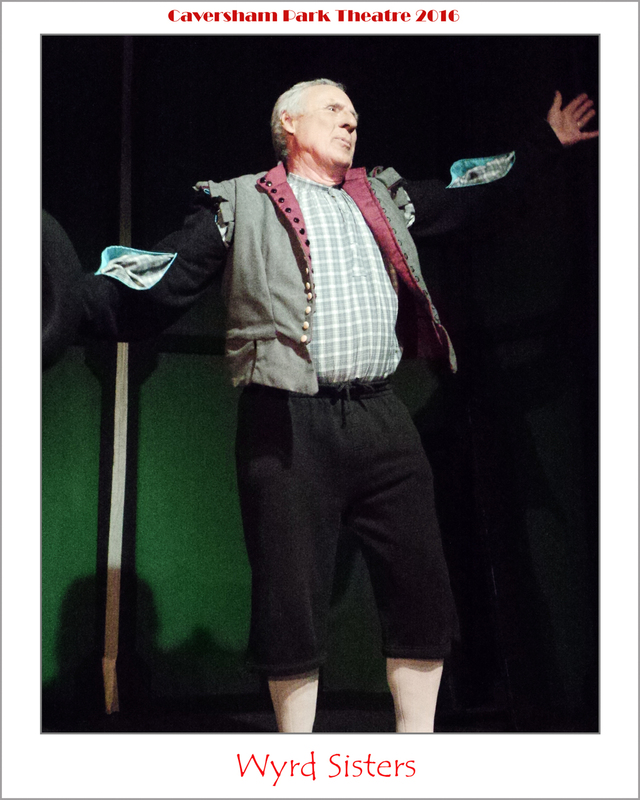 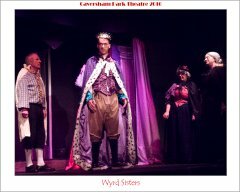 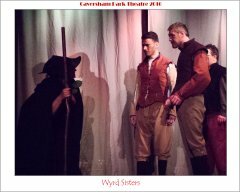 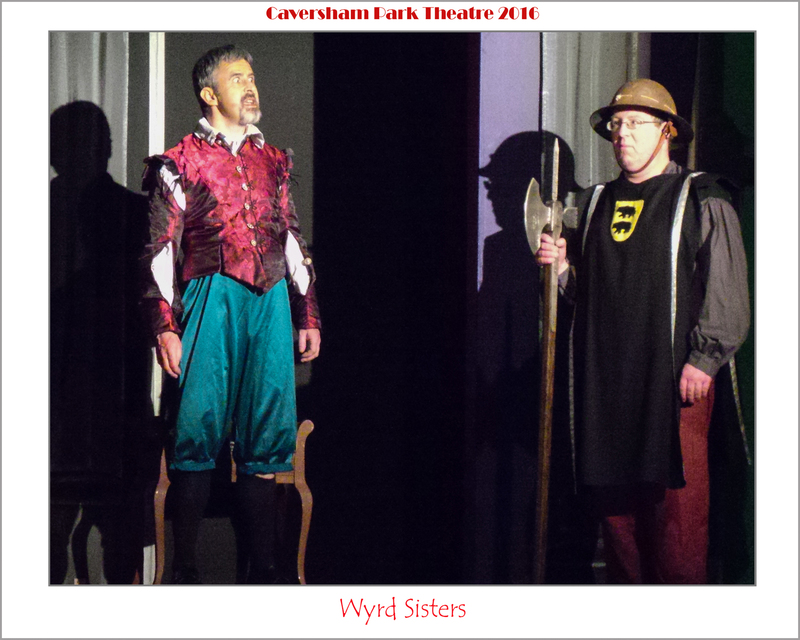 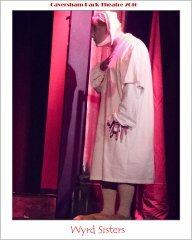 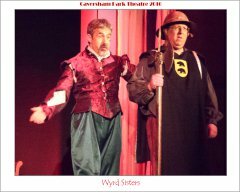 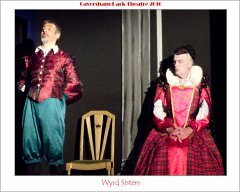 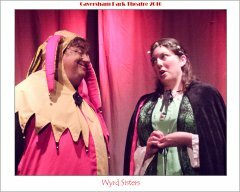 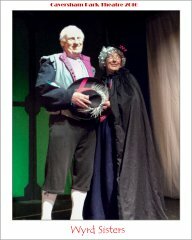 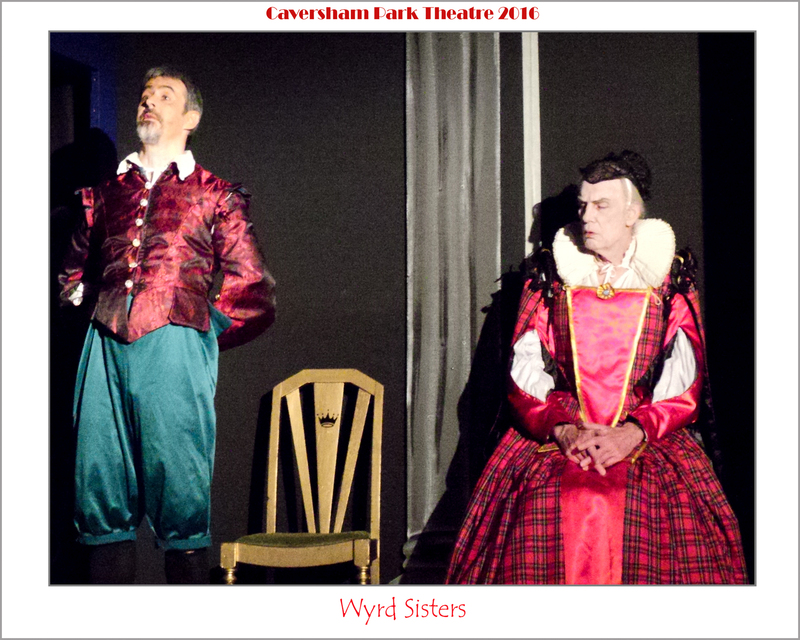 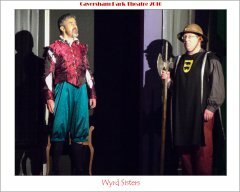 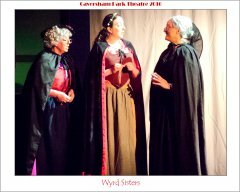 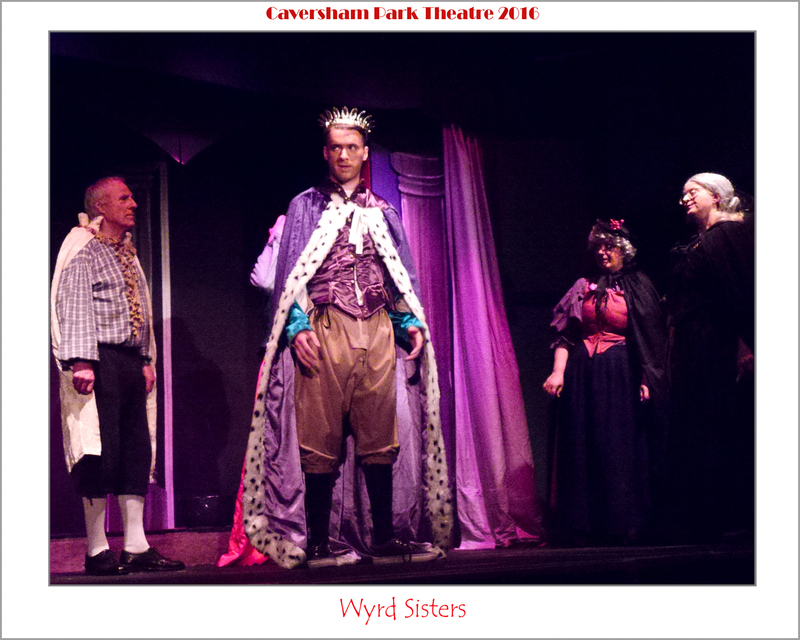 Caversham Park Theatre is proud to stage Wyrd Sisters. 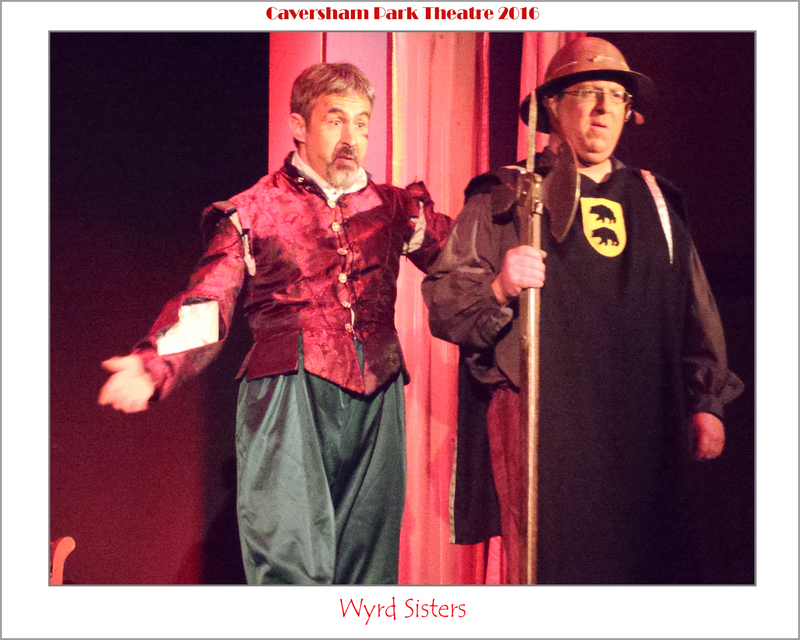 We hope you will dip your toe into Sir Terry’s Discworld and discover a whole new universe of thoughtful comedy. 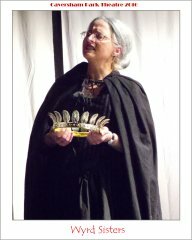 If you decide Terry Pratchett is not for you, then we guarantee that at worse you will have spent an entertaining evening with plenty of laughs along the way. 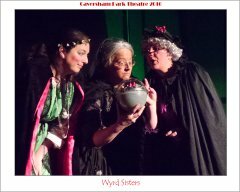 Granny Weatherwax, Nanny Ogg, and Magrat Garlick, are waiting patiently in the wings. 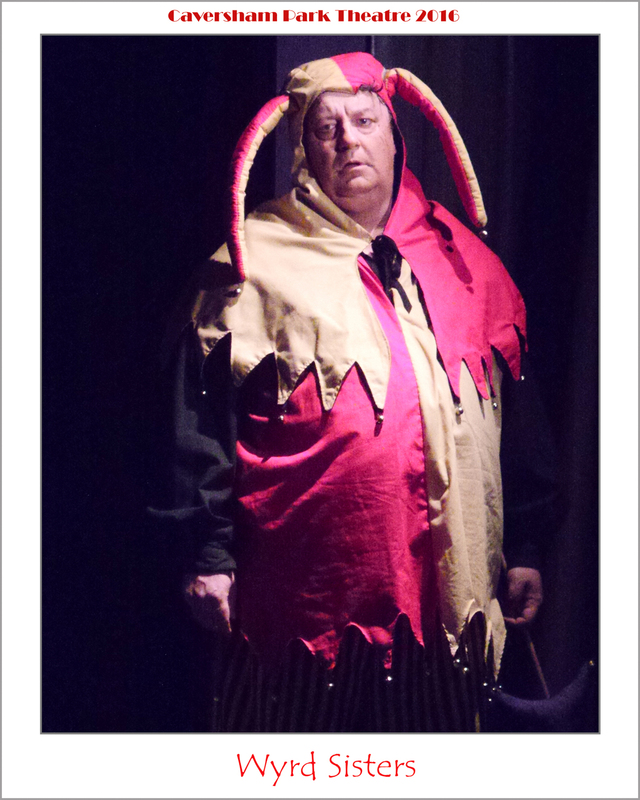 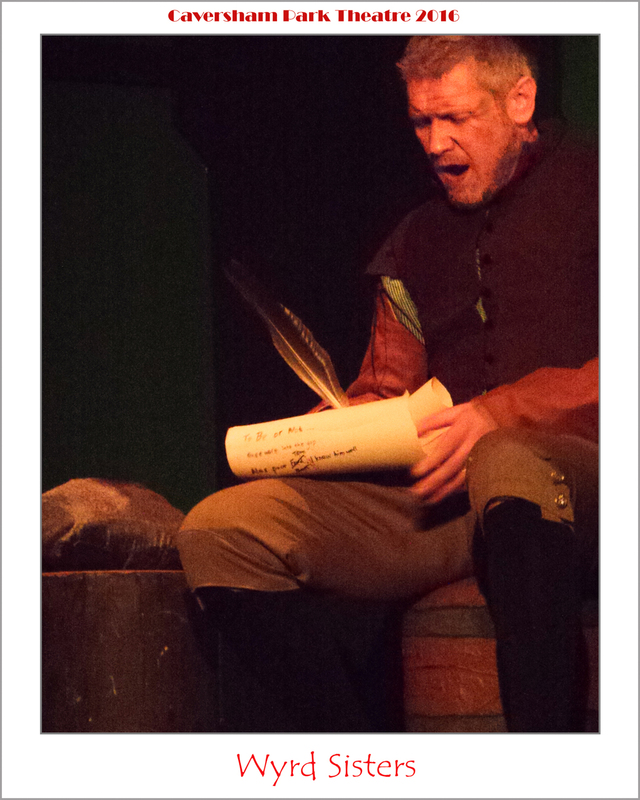 Coachman, Sergeant, and chorus - Adam Negus.